With commercial aviation facing its biggest changes and challenges ever, the pressure is on everyone – airlines themselves, consumers booking through agencies or corporates booking through TMCs. With 20 years’ experience in the aviation e-commerce our mission is simple – to help our 150+ existing customers worldwide to earn more and spend less - either by breaking the traditional Distribution model and using our NDC, through our innovative E-Commerce approach to our extremely efficient own FinTech solutions. Thanks to almost two decades of intensive cooperation with global GDS/ CRS players like Amadeus and SITA and solutions implemented with over a hundred of our customers, we know all the pros and cons of this traditional Distribution model. That’s why we developed and run a brand new Distribution concept, certified by IATA. 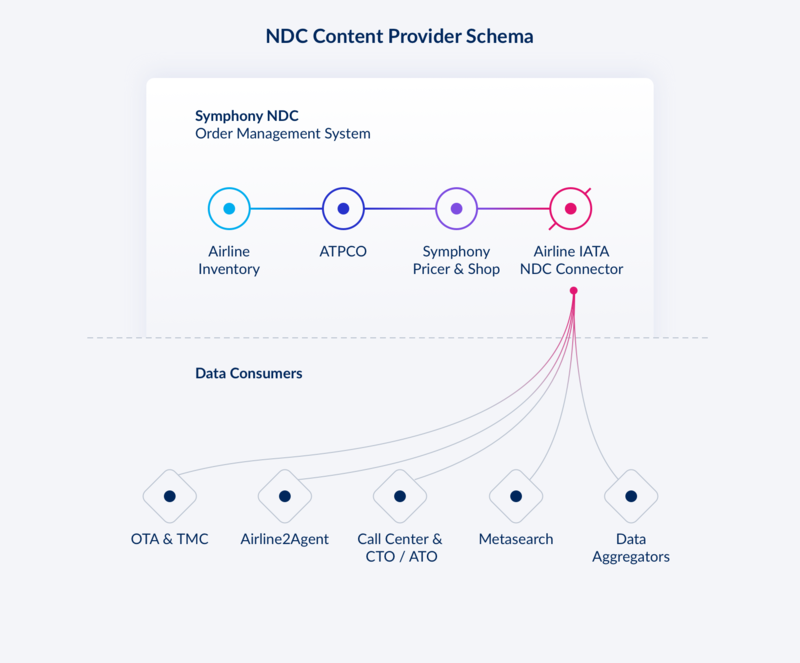 and based on its NDC, allowing the airlines to offer a customized content for each business partner by significantly cutting its Distribution cost. And likewise enabling agency customers to access the airline content without any GDS surcharges. Our E-Commerce solutions reflect our goal for the IBE to serve as the airline’s or OTA’s official shop-window. With this in mind it does not only provide our customers with the latest revenue driving streams like Fare Families or Bundled Fares, but also various Ancillary Services and sophisticated tools for cross- or upsell and digital marketing. With its already 4th generation, our Symphony IBE (Internet Booking Engine) incorporates the latest trends from Distribution with efficient yet user friendly shopping experience to create a one-stop shop concept, including all the latest revenue drivers like Fare Families, Ancillary Services or Upsell. Our ability to use various distribution models and combine suppliers provides our OTA customers with unbeatable content, including 1,100+ traditional carriers and 140+ LCCs. All topped-up with a latest features like Ancillary Services, Fare Families and more. We consider offering a wide option of secure payment methods as a basic principle of a good E-Commerce solution. That’s why we decided to go even beyond and help our customers to maximize efficiency even for credit card payments and currency conversions – both, on direct payments and even the BSP.